Zoe began to practice acupuncture in 1977 after previous training and practice in massage therapy and bodywork. Since that time, she has been in private practice in Traditional East Asian Medicine in the Washington, D.C. area. But, because education and development are also of great importance to her, she has been a teacher for many years of acupuncture theory and history, as well as Chinese herbal medicine and Chinese Medical Classics, both in the U.S. and Europe. 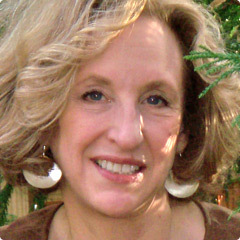 She is an internationally certified instructor of Toyohari Meridian Therapy and takes great pleasure in educating the general public in a variety of venues, from the Smithsonian Institution to the Psychology Association of D.C. She has also contributed chapters to a number of books for practitioners, editing and writing books for the general public, as well as articles in professional journals. Interested as well in research that helps to demonstrate the efficacy of acupuncture, Zoe has been involved in a pilot study of brain wave changes during treatment and has served on research panels at the Office of Complementary and Alternative Medicine at the NIH and at Beth Israel/Harvard Medical School. Zoe has had extensive experience treating people suffering with emotional and stress-related disorders. She has also worked with fertility problems, both with women utilizing medical fertility treatments and women trying to get pregnant on their own. In addition, she has assisted women with menstrual and menopausal health issues and works with many children with complaints such as colic, chronic respiratory issues and ear problems. To Zoe, the central focus of healing is assisting people to find their way back to a state of health and a feeling of well-being. This requires that she use both insight and observation and all the tools of Asian medical diagnosis to understand what is happening with an individual to block them from that vitality. Accordingly, she makes observations with respect for each person’s unique situation, adjusting treatment as the person changes, to bring awareness and energy to areas that are lacking it and to urge blockages to open, so that feelings of disease can abate and patients may (re)discover their body’s own inner wisdom and dynamic balance. Zoe started her study of Asian medicine in 1976 at The College of Traditional Acupuncture in England, from which she received three degrees ( LicAc, BAc, MAc). In 1986, she completed a two-year certificate course of studies in Chinese Herbal Medicine. Since then, she has studied Chinese Medical Classics in France and the U.S. Zoe began to study Japanese acupuncture in 1989 and Toyohari and Japanese pediatric acupuncture in 1996. Certified in both acupuncture and Chinese herbal medicine, she helped develop the first exams with the National Certification Commission of Acupuncture and Oriental Medicine. She was also given the honor of being elected by her peers in the first class as a Fellow of the National Academy of Acupuncture and Oriental Medicine. In 2009, she was awarded a certificate of recognition of excellence by the Toyohari Association (International).